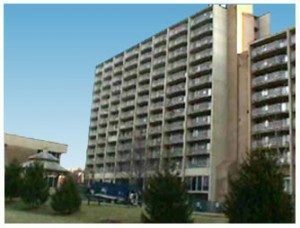 Potomac Towers Apartments is a two building high-rise apartment complex for the elderly. It consists of Potomac Towers South and Potomac Towers North. Potomac Towers South is a 13-story building, with the first floor being the administrative offices for the Housing Authority. Potomac Towers is a 9-story apartment complex, with public spaces on the first level. L.S. Grim has been the principal M/E/P engineer for modifications to several systems within this apartment complex.